Nearly all of Pipe Ten’s hybrid hosting accounts are reseller accounts by default. You are able to host as many websites as you can fit on your chosen account. All websites operate independently with their own individual settings. Host as many websites as you a can fit on an account. Instantly upgrade to a larger account with more resources whenever you need it with zero downtime. You’re allocated bulk quotas of mailboxes, web space, MySQL / MS SQL databases. Earn money for every client referred to Pipe Ten as well as getting them a discount! 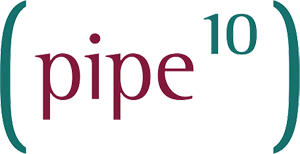 Get £10 credit for every customer referred to Pipe Ten. Give your referral a further £10 credit on their hosting account too. Can be used with any Pipe Ten hosting package. Share the love and show me the money!